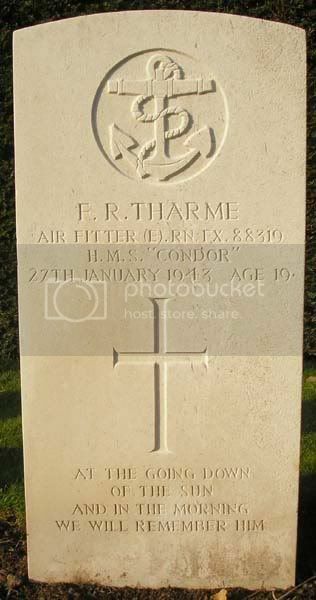 Additional information: Son of Robert and Florence Kate Tharme, of Harrogate, Yorkshire. Grave/Memorial Reference: Compt. D. North Border, Grave 38. Grave/Memorial Reference: Compt. D. North Border, Grave 12. 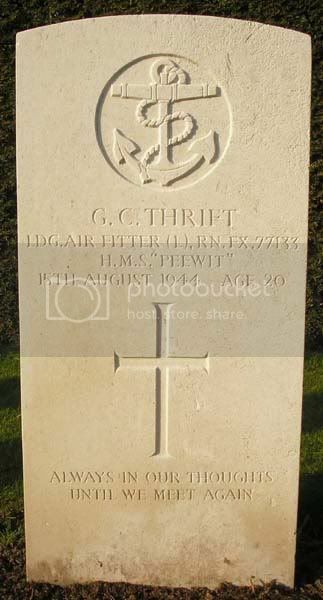 Additional information: Son of Alfred John and Annie Edith Thrift, of Ventnor, Isle of Wight. Grave/Memorial Reference: Compt. D. North Border, Grave 36. 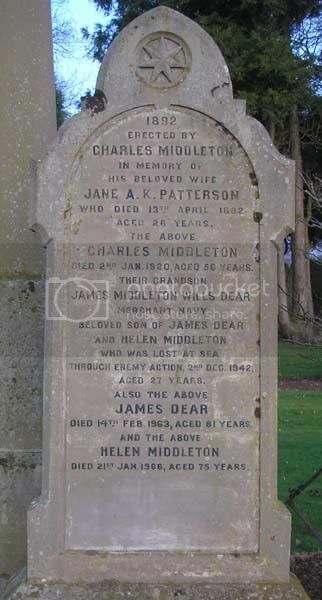 Additional information: Son of Charles Pattallo Whitton and Dorothy Kate Whitton, of Arbroath. Grave/Memorial Reference: Compt. H. Grave 440. 1/2. 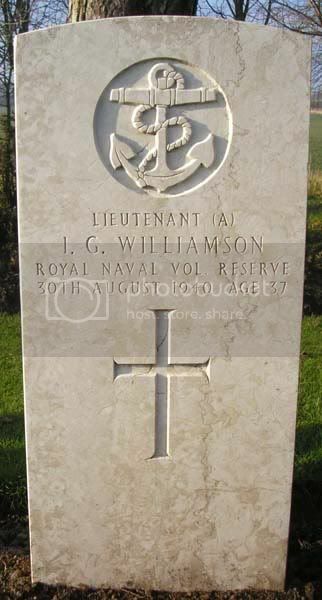 Additional information: Son of George A. Williamson and A. Margaret Williamson, of Purley, Surrey. Grave/Memorial Reference: Compt. D. North Border, Grave 3. Unit Text: 2nd Highland Bde. 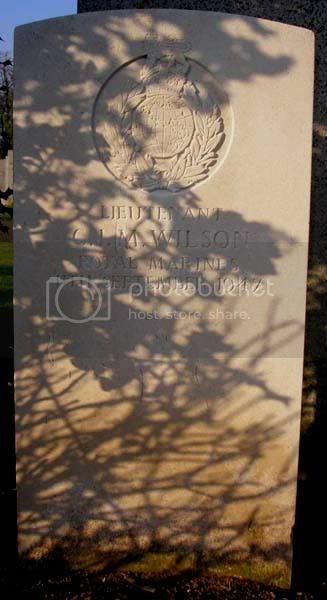 Additional information: Son of John and Jessie Wilson, of Rotomahana, Arbroath; husband of Florence L. Wilson, of Craigard, Arbroath. 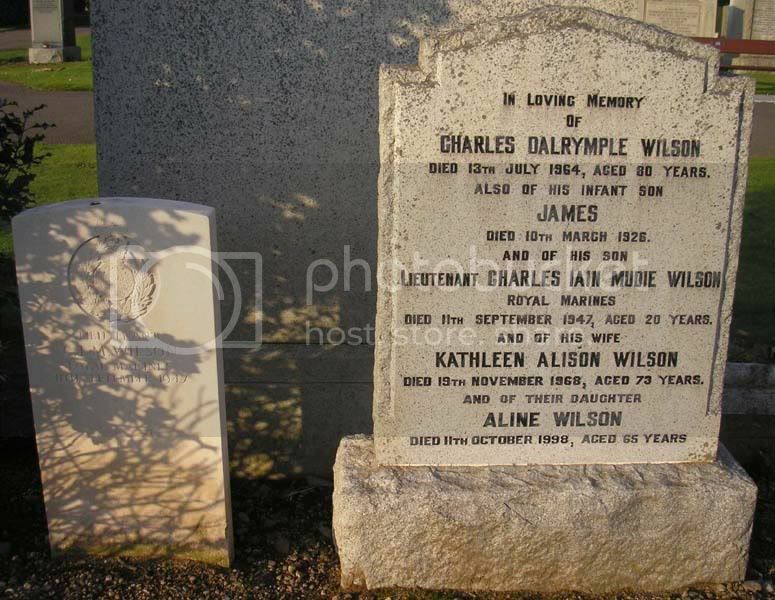 Additional information: Son of Charles Dalrymple Wilson and Kathleen Alison Wilson, of Arbroath. Grave/Memorial Reference: Compt. H. Grave 121. 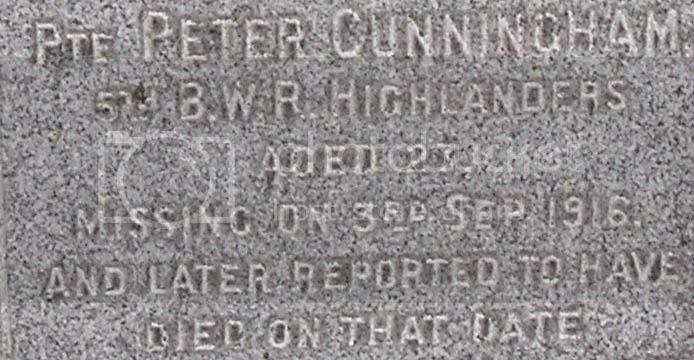 That's it for the CWGC burials in the Western, so the following are the Non CWGC Burials. Grave/Memorial Reference: XIX. E. 5. 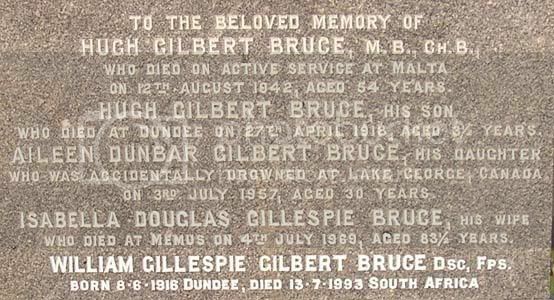 Additional information: Son of Dr. Robert Hugh Gilbert Bruce, M.B., C.M., and of Margaret Bruce (nee Copland); husband of Isabella Douglas Gillespie Bruce (nee Lamond), of Cove, Dunbartonshire. M.B., Ch.B. (Aberdeen). 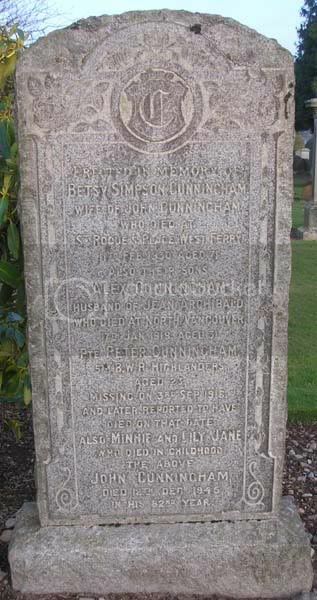 Additional information: Son of John and Betsy Cunningham, of St. Roques Place, Broughty Ferry West, Forfarshire. Unit Text: S.S. Solon II. (Swansea). 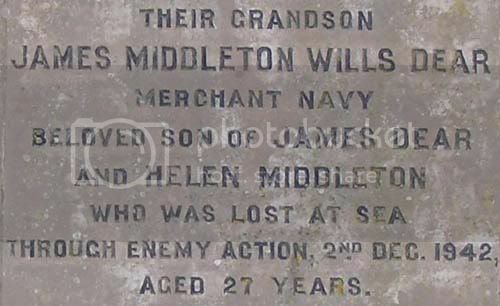 Additional information: Son of James and Helen Middleton Dear, of Arbroath, Angus. 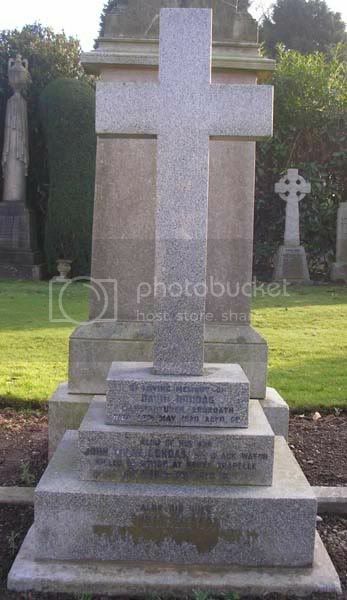 Additional information: Son of David and Susan Dundas, of Royston, Arbroath. 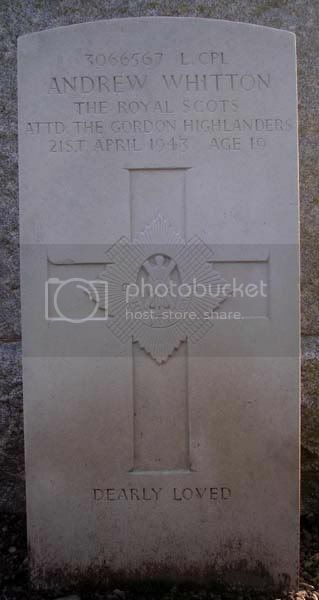 Additional information: Son of David and Elizabeth Gray, of 49, Howe St., Dunedin, New Zealand. Native of Friockheim, Forfar, Scotland. 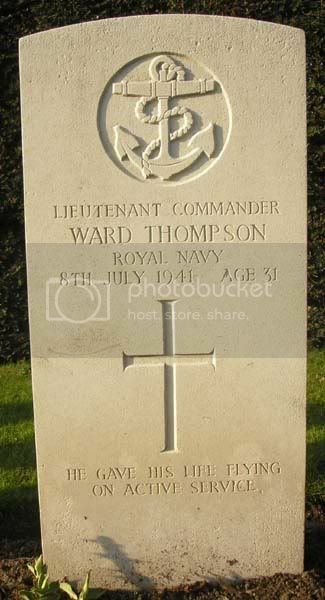 Grave/Memorial Reference: N.Z. Apse, Panel 7. Unit Text: 63rd R.N. Div. 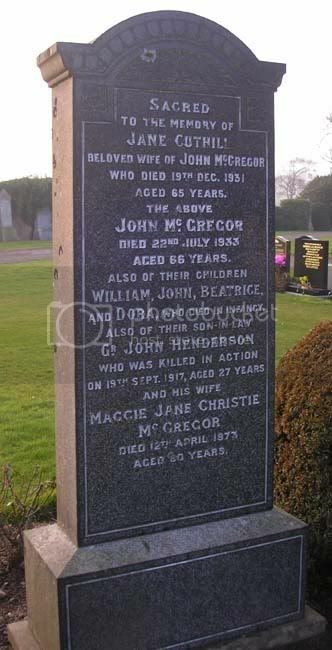 Additional information: Husband of Margaret Henderson, of 18, St. Mary St., Arbroath. 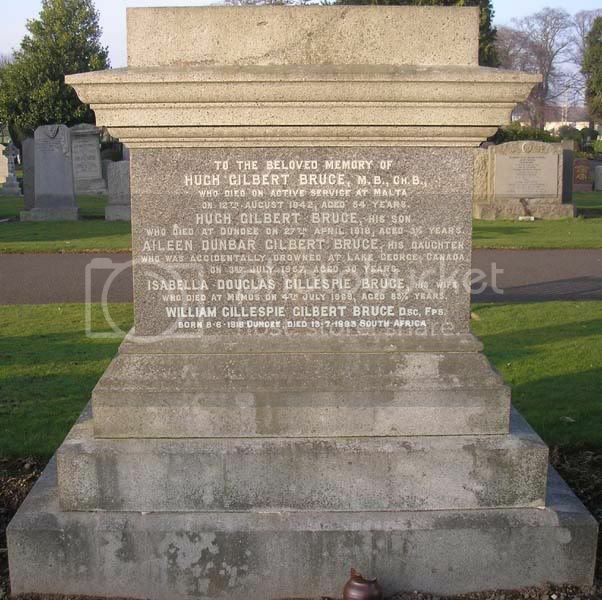 Native of Kirriemuir, Forfarshire. Grave/Memorial Reference: III. A. 23.